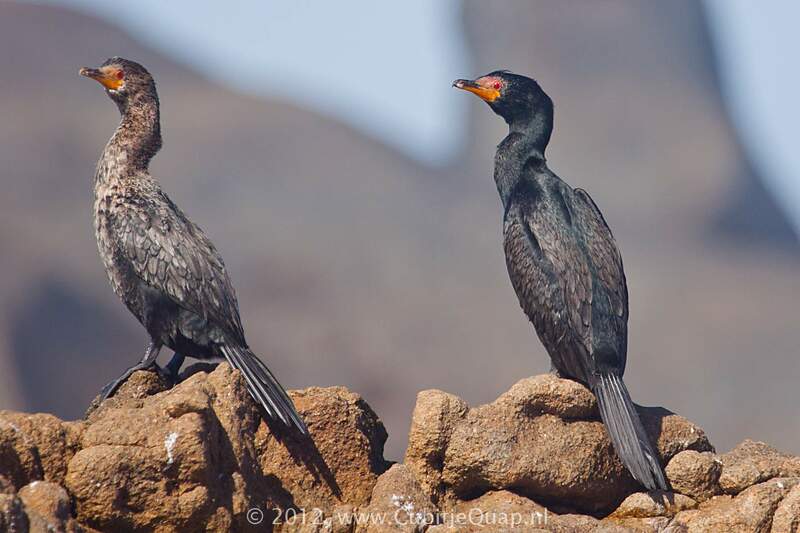 Differs from Reed Cormorant by its orange-red face and throat patch (breeding plumage), longer and more pronounced erectile forehead crest, and shorter tail. 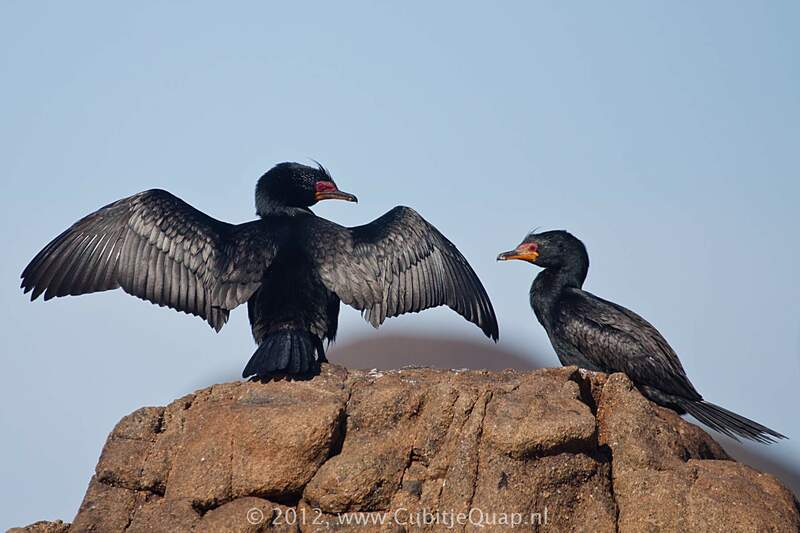 Juvenile and immature are dark brown above and differ from juvenile and immature Reed Cormorant by their shorter tail and brown (not white) underparts. 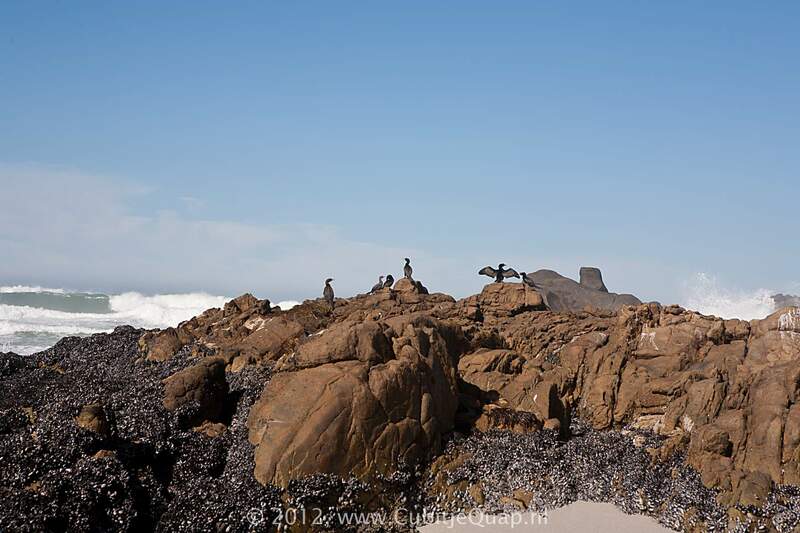 Almost entirely marine, on islands off west coast and in estuaries and lagoons in the Western Cape. It breeds collonially, laying two to four eggs. Silent except for croaking sounds at breeding colonies.